Our knowledge of this church rests on mentions of it in medieval documents, and on survival of part of its structure into nearly the modern age. Obviously, there are many churches like that, but St Mildred is worthy of further investigation, and of an entry here, because for many centuries it was probably the civic church of Ipswich. The story of St Mildred has been collated on the excellent Rhodes University online reference book of the Middle Ages. There, the importance of the dedication is pointed out; it is an unusual one, and of some significance locally because Mildred had connections to the East Anglian royal family, the Wuffings. 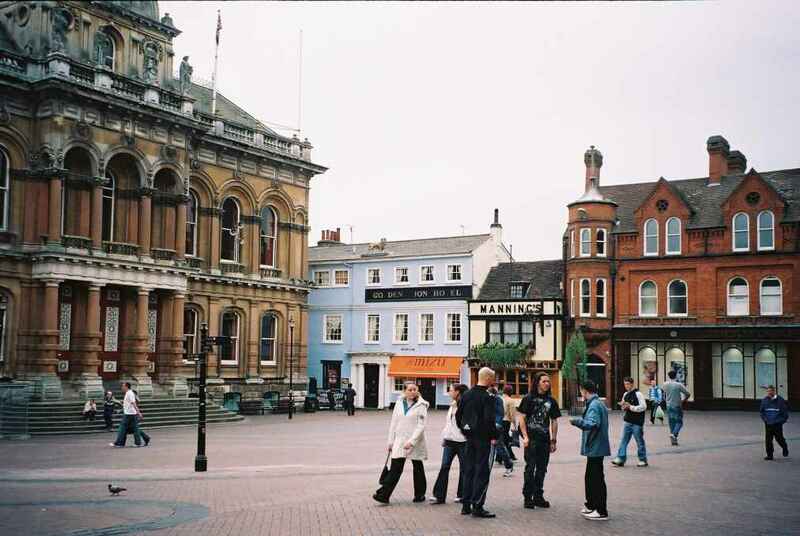 Their base was at Rendlesham, but the town that they knew as Gippeswyck was already, by the 8th century, the largest population centre in the Kingdom of East Anglia. Indeed, it would briefly flower as what was probably the largest town in the British Isles. 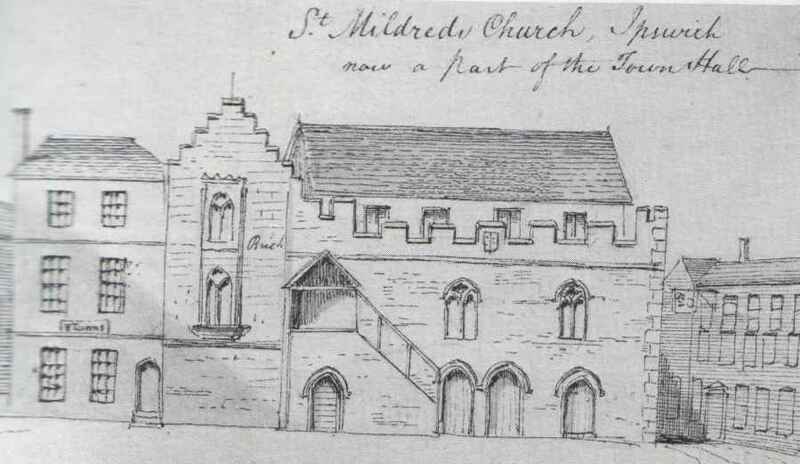 St Mildred died about AD 700, and the conjecture is that this church was founded soon afterwards. After the time of the Black Death in the mid-14th century, the church is mentioned increasingly less often. There are mentions of the parish and its cemetery in documents of 1420 and 1465, but as early as 1309 there were insufficient people in the parish to merit a voice on the Town Council. The Rhodes site conjectures that, along with the Black Death, a serious fire in 1319 may have pretty well emptied the parish, and at the Reformation, it was neatly divided between St Mary le Tower and St Matthew. In the meantime, the church had found a new role. 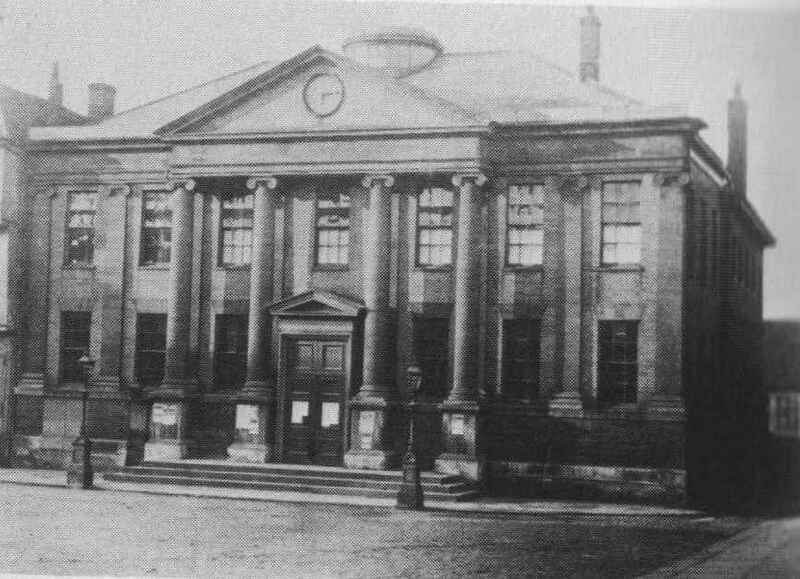 Conveniently located beside the Moot Hall on the Corn Hill, it became the centre for civic religious ceremonies and processions. After the Reformation, when such things had been abandoned, it probably became nothing more than another part of the administrative buildings of the Borough. 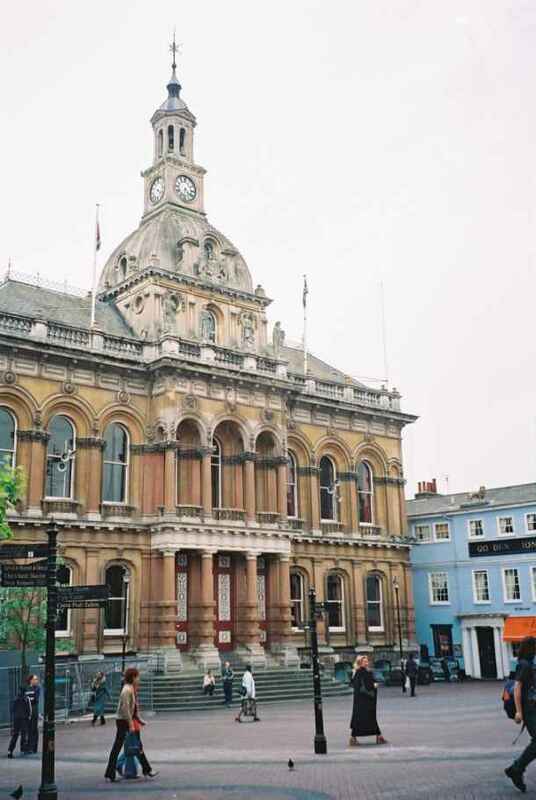 In 1818, anything that had survived of it was swept away, to be replaced by a mean-looking Classical building, which was Ipswichs first Town Hall. This in turn was also demolished in 1865, when the current Gothic confection went up  this sounds disparaging; actually, I quite like it. However, nothing at all survives of St Mildred today. Archive photographs on this page are taken from the wholly excellent Ipswich, Town on the Orwell by Robert Malster.